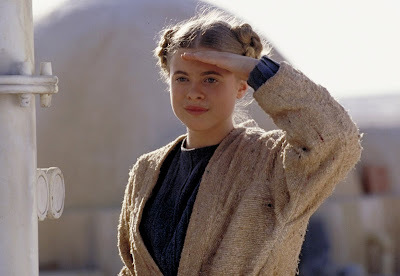 This last week I've been thinking about how I want to celebrate May the 4th and decided I wanted to make another costume. Luckily this time I thought about this a month and a half before, unlike last year when I thought about it 3 days before! 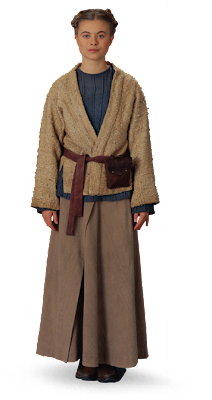 After looking at every costume on The Padawan's Guide and watching Attack of the Clones I decided to do Beru Lars. Her costume is actually fairly simple. I'm in the middle of creating the mock up of the coat/tunic. I cut two rectangular pieces for the front and one for the back then pined everything in the shape I needed it before tracing and cutting to make sure I got the right shape of everything. I did this last night and today I cut the pieces out and am going to be working on the sleeves next.